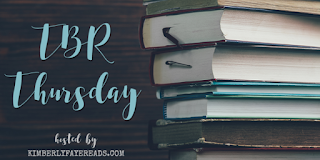 This week I have decided to jump on board with TBR Thursdays, created by Kim @ Kimberly Faye Reads! This feature was created with the intent of spotlighting a title from your shelf that you planning on reading in order to discuss why you want to read it, as well to discuss the book with others! 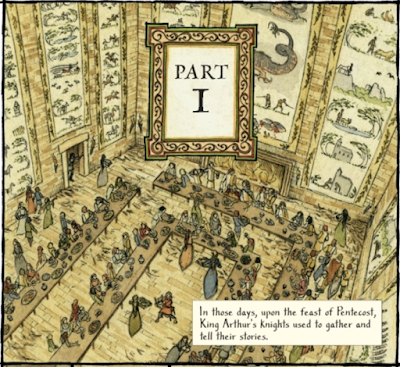 If you'd like to join, feel free to use the banner created by Kimberley (or your own), and stop by her page to participate. 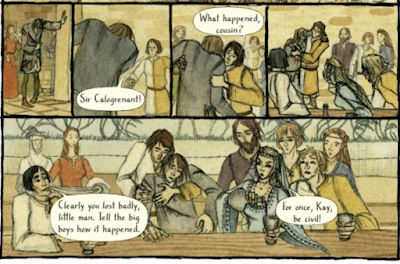 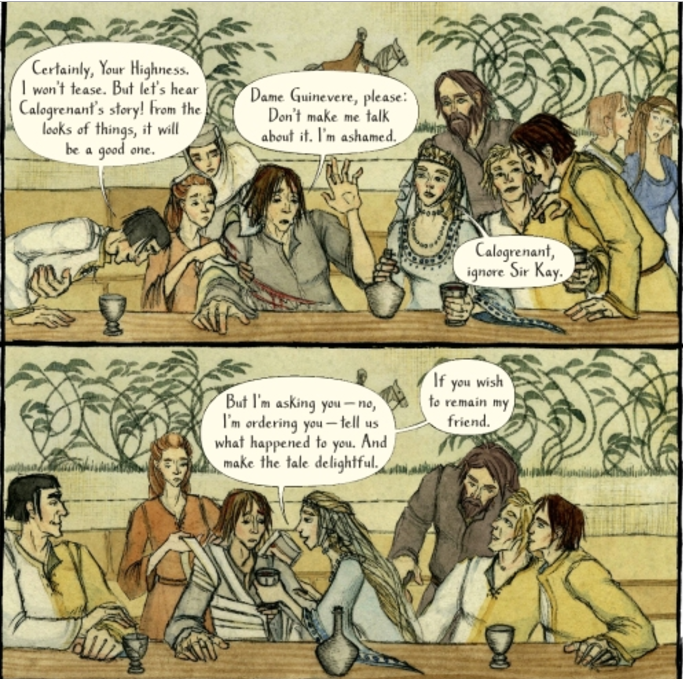 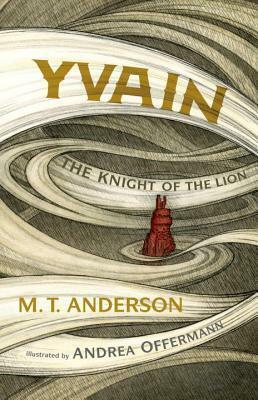 For this week's TBR Thursday I realized that I wanted to share an upcoming graphic novel that I'm excited to start - Yvain: The Knight of the Lion by M. T. Anderson. 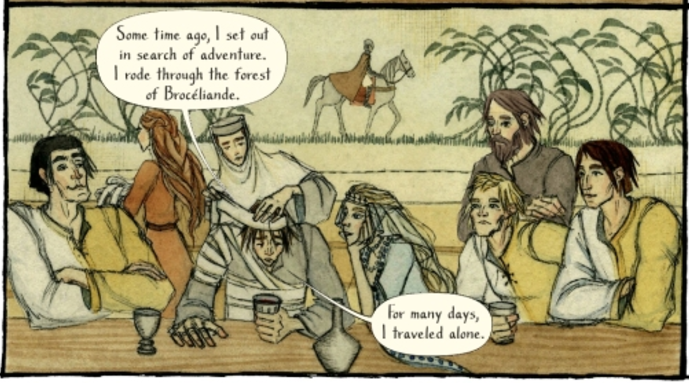 But this posed a problem: how does one share the first paragraph from a graphic novel? 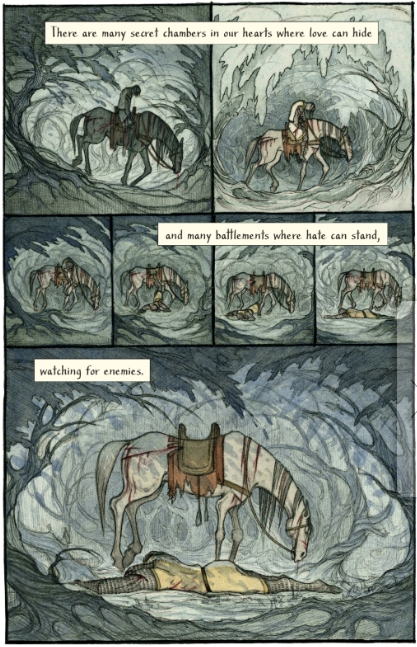 And then I realized that Barnes & Noble has the first few pages available as a sample, so I decided I would share it that way. So rather than a paragraph, I have provided roughly the equivalent of that in graphic novel format below. If you want to read a longer sample, one can be found here. 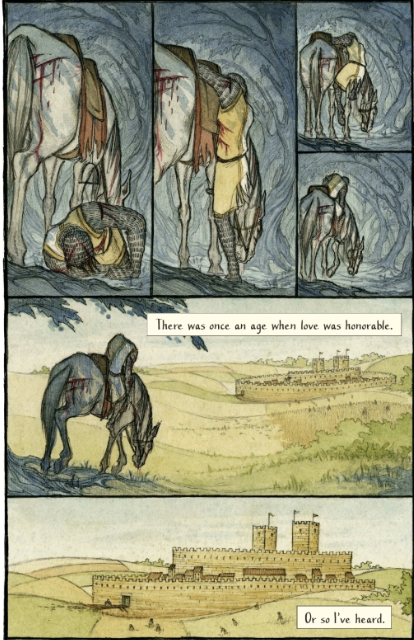 I'm always interested in reading some good Arthurian lore, and this seems like it will be a great addition! 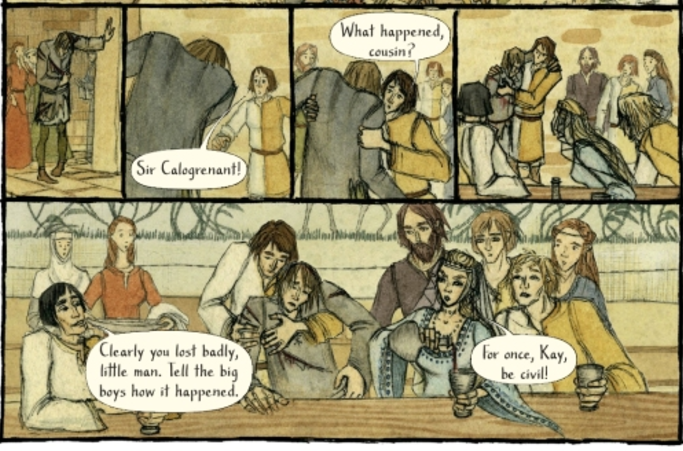 Are you interested in reading this book? 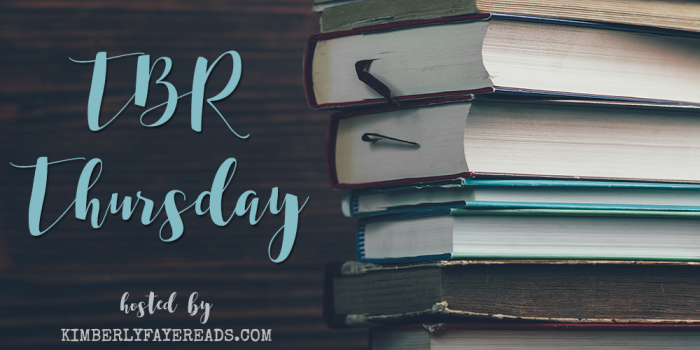 What books are on your TBR?